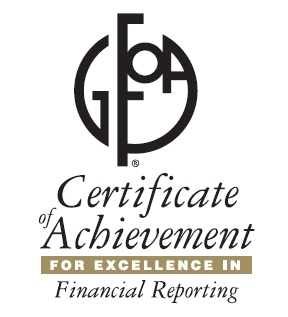 The Village has received the Certificate of Achievement for Excellence in Financial Reporting for the Comprehensive Annual Financial Report (CAFR) from the Government Finance Officers Association (GFOA). "The Certificate of Achievement is the highest form of recognition in the area of governmental accounting and financial reporting, and its attainment represents a significant accomplishment by a government and its management," according to a GFOA news release. This award is issued following a review by an impartial panel of judges and recognizes the Village's "spirit of full disclosure" in the telling of its financial story. The professional manner in which the CAFR is organized and presented were cited as motivating factors which encourage potential users to read the document. The CAFR provides a detailed, audited account of all financial activity for the funds and departments in the Village organization. It is published within six months from the close of each fiscal year. The Village's financial team is headed by Finance Director Judy Buttny.